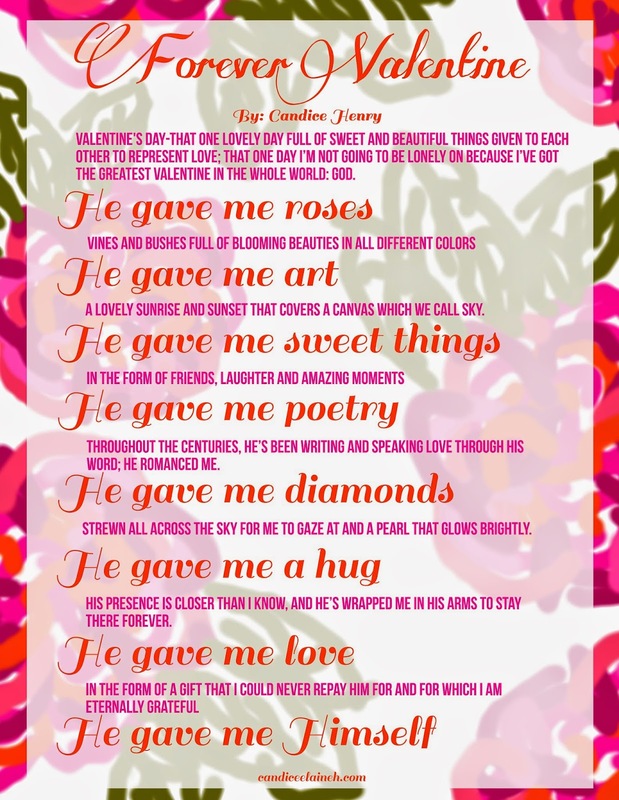 It is tradition on Valentine's Day to post this little journal excerpt-turned-poem that I had written many years ago. These words still hold true, wherever you are in life. My hope is that you feel loved today, regardless of your relationship status, and that you know that your Creator loves you with an unexplainably beautiful, deep, true kind of love. Happy Valentine's Day! This is beautiful! Thank you so much for sharing this! Absolutely love the way you took all the Valentine's day stereotypes and tied them back to Christ!